Keeping up with chores this time of year can be tough. And when it comes to the, ahem, gross chores, like cleaning the bathroom, it can be tempting to just blow it off week after week after week. The good news is, after a thorough cleaning, it’s fast and easy to keep things spick and span. Depending on the size of your bathroom, you can get the whole room cleaned in less than 30 minutes. So, grab your gloves — and some Scentsy Clean products — and get your clean on! Wash your towels. 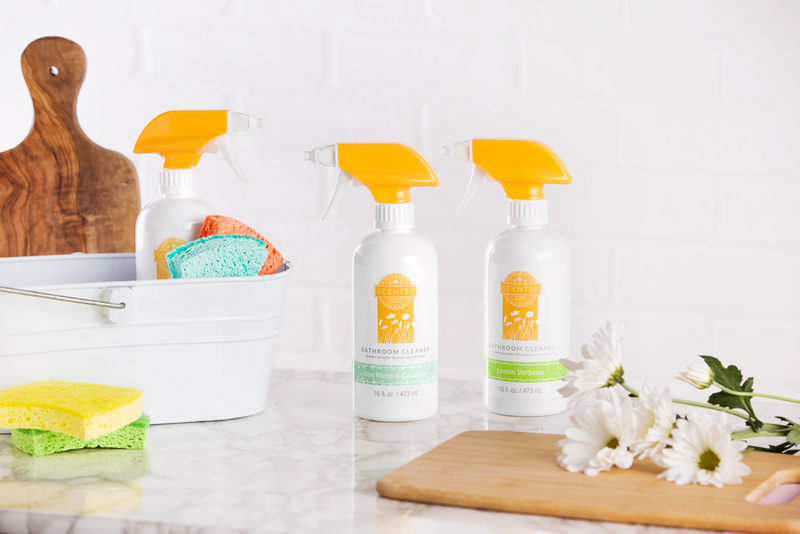 Before you start cleaning, toss your towels and bath mats in the wash with Scentsy Laundry products — Laundry Liquid, Washer Whiffs, Scent Soft and Dryer Disks — for an effective and oh-so-fragrant clean. Wipe off the countertop. Remove all objects from the counters, and spray with Scentsy Bathroom Cleaner. Let it sit on the surface for 5-10 seconds, then wipe it away with a lint-free microfiber cloth or sponge. 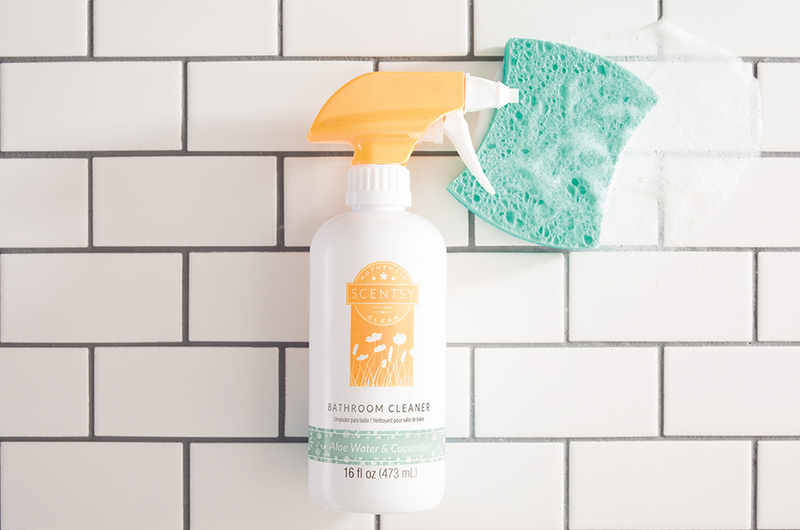 This citric-acid based cleaner is specially formulated with powerful biodegradable plant-based and safe cleaning agents to easily remove soap scum and grime in your bathroom. And because it’s made with beloved Scentsy fragrances, cleaning is more enjoyable — plus, the only thing you leave behind is long-lasting fragrance. Clean the shower. Spray on Scentsy Bathroom Cleaner. Again, let it sit for 5-10 seconds and wipe it away with a lint-free cloth. Clean the toilet. Add toilet cleaner to the bowl and let it sit for a few minutes. While you do, spray on Scentsy Clean Bathroom Cleaner over the entire surface, starting with the tank and working your way to the base. Finally, clean the bowl with a toilet brush. Clean the floor. Give it a quick sweep or vacuum, then scrub the floor with hot, soapy water. 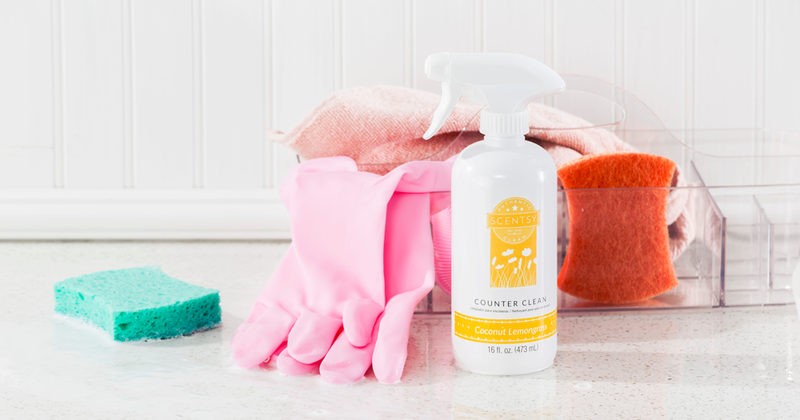 To keep it smelling and looking fresh, give the counter and sink a quick spritz of Scentsy Bathroom Cleaner or Scentsy Counter Clean every day. And use Scentsy Room Spray or drop a few cubes of a fresh-scented Scentsy Wax Bar in your favorite Scentsy Mini Warmer for long-lasting freshness. To order the products mentioned in this post, contact your Scentsy Consultant. Don’t have a Consultant? Find one here. The Disney Collection is here! Wonderful tips and I will definitely use for the upcoming fall cleaning of my house. Thank you for sharing. I absolutely hate a dirty bathroom & love all these tips. Thanks for sharing.